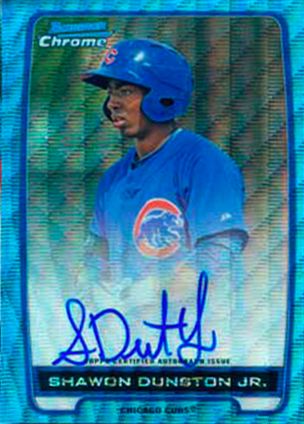 cards have been randomly inserted into packs, featuring Jorge Soler, Billy Hamilton, Ronald Guzman and Tyler Austin…just to name a few. The exclusive wrapper redemption program will be limited to only 10,000 cello packs, so you will want to get your wrappers quickly. 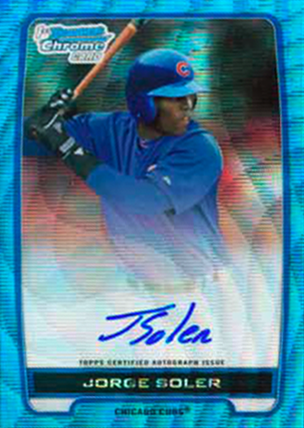 There is a 5-pack limit for Blue Wave Refractors per household, which Topps encourages you to send in one package. In an ongoing effort to even the playing field and prevent early breakers from taking advantage, any packages postmarked earlier than October 17, 2012, the official street date, will not be accepted. 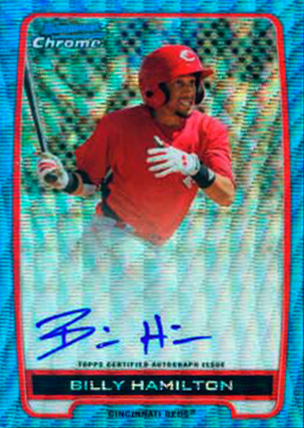 Updates with the number of packs redeemed will be announced on Topps’ Twitter feed @toppscards, so make sure you follow them there. Once the 10,000 cello packs have been sent out, the program will conclude and no more redemptions will be fulfilled.